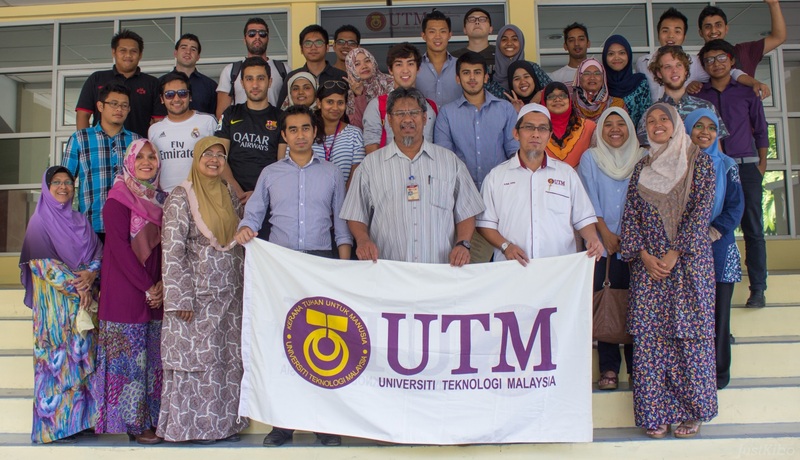 The summer exchange program to the Universiti of Teknologi Malaysia (UTM) was one of the best experiences of my life. The culture, food, people, education, new friends, the beautiful country, clothing, shopping, travel, everything was just amazing! Fifteen engineering students from UTS set out from Sydney to UTM in Johor Bahru, which is located in the southern part of Malaysia and right next door to Singapore. We fifteen, with a local group of ten engineering students took part in a subject called ‘Managing Water Environment in Tropical Countries’ a subject run by the faculty of civil engineering in UTM. This subject was designed to expose us to the various aspects of water quality management for river catchments, lakes and reservoirs. It taught us the key issues in monitoring and assessment of water quality and the impact of water pollution to the environment. This subject gave me a global perspective and experience for civil engineering in a different country and how different measures are taken for river rehabilitation. The program consisted of lectures every day, several field trips around Malaysia and laboratory testing. These lectures encompassed on the types of water systems, hydraulics & hydrology, pollution, rehabilitation, testing, management, ecosystem and legislation. It was pretty much environmental science and then applying engineering knowledge to benefit the environment. The field trips were the most amazing part of the trip; the theory I was learning in class, translated into the practical, giving me an excellent grasp of what I was learning. But these field trips weren’t just any field trips, when we weren’t learning we were exploring – hiking, fishing, swimming, canoeing and just enjoying the atmosphere and the beauty Malaysia had to offer. The theory, practical and fun provided invaluable insights into the development of Malaysia’s water system, but also an invaluable life experience. One example of the practical was, understanding and addressing what a point source and non-point source of pollution was and how it would be best to mitigate or eradicate the problem. We had two assessments for this subject; one was an individual assessment on the water management of our country and the other a group project. Our job as ‘engineering consultants’ was to restore the river to a level at which aquatic life can return and propagate; this really tested what we had learnt in class and in our practicals. It showed our professors what we had learnt and what we were capable of achieving. I hope to take on this valuable experience and use it to impress future employers. Even though my group didn’t win the tender, it was an amazing and valuable experience. Malaysia is a developing country and has an abundant amount of rainfall, yet they still suffer from a water crisis. These field trips allowed us to visit government organisations, who explained to us their methodologies to promote better management of water in their country. All these organisations shared the same beliefs and values, but the one they reiterated more was the psychology of water management and getting children to learn about water management from a young age. So that when they grow older they can teach the next generation and the next generation can teach theirs and so on. A cycle of good water management is promoted. The organisations would also use two juxtaposing images – a filthy river and a pristine river – they would advertise to people “Do you want to swim and drink from this river or this? If you want a beautiful river we should keep our rivers clean. Stop pollution!” Something along those lines and it was providing the Malaysian organisations with positive results. The best part of the trip was the food, friends and endless memories! I have made friends for life some of the UTS guys and all of the UTM people. The UTM guys taught me a lot; they definitely motivated and inspired me to be a better engineering student. One of my Malaysian friend’s taught me to “study smart, don’t study hard, in order to achieve the best marks and understanding of concepts!’” One of the guys have even invited me to their wedding at the end of the year, I am so excited for it! The cultural experience was just amazing and it has given me a new global perspective; I’ve learnt how to speak a lot of Bahasa Malay and will continue to do so. 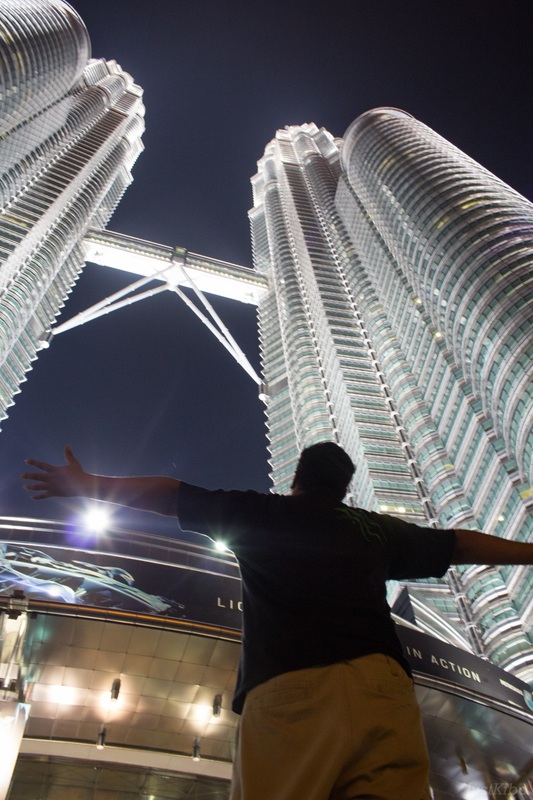 I’ve just fallen in love with Malaysia and its culture; I’ll definitely go back to Malaysia again.